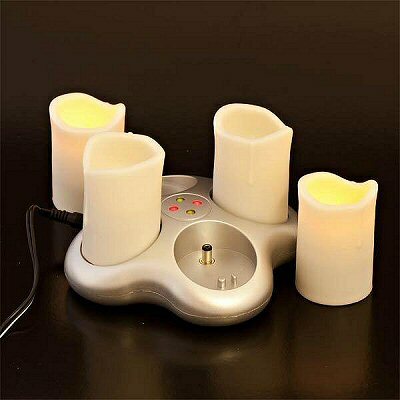 Top-of-the-range Rechargeable Flameless Candles ... Ultra-realistic - Use on their own, or to complement real candles! These are the best flame-free candles we have seen, and are built for everyday, casual use, at a very affordable price. These are great fun! Position them around the room and they will instantly create an attractive atmosphere. They can also be used outside for parties or barbecues. All you do is flick the switch under the candle base to switch on.